Collaborative Autism Resources and Education (CARE), LLC was founded in 2002 by Dr. Janet Schaefer, BCBA-D after serving as a board member and then as a special education consultant to Odyssey Charter School in Las Vegas, NV during its inaugural year in 1999. Dr. Schaefer has worked closely with Clark County School District and the State to assist public charter schools throughout Nevada in meeting the federal and state requirements to ensure that a free and appropriate public education was being provided to students with disabilities. She also served as the charter school representative on the State Special Education Advisory Committee during her tenure as an administrator at Odyssey Charter School and represented the state at federal conferences related to charter school operations. She has presented at several conferences related to serving students with special education needs in a charter school setting. The model of service delivery that the CARE consultants provide is on a fee for service basis. The charter school chooses from a menu of special education and related services and contracts for those services based on each student's individualized needs. If the student moves, the service is ended with no additional fee to the charter school. If a student is identified that requires an evaluation to determine if he or she is eligible in the state of Nevada as a student with disability, qualified consultants holding the appropriate licensure in the state of NV can conduct all or part of the evaluation for the charter school. This model has been very effective for charter school operators who can't afford to hire a full-time or part-time employee. The charter school can contract with CARE to provide those services such as hiring a school nurse to conduct hearing and vision screenings and providing staff training on CPR and/or Universal precautions. 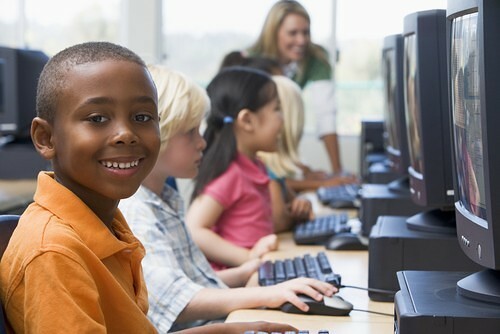 This model saves charter school operator’s time and advertising costs when they are faced with trying to find a related service provider to fulfill requirements of a student's IEPs in a timely manner. This model has also been effective in providing qualified school-based consultants that are typically hard to fill positions such as: Speech Language Therapists, Physical Therapists, and Occupational Therapists, as well as consultants providing support to students with Low Incidence Disabilities such as those with hearing and/or visual impairments. Dr. Schaefer and her team of consultants have extensive experience providing special education and related services to public charter schools for over 14 years and understand how to provide services to students with disabilities who are participating in these innovative programs. We look forward to your calls to discuss your charter school's needs for the upcoming school year.